XtraMath is a free online educational service that helps in making math lessons more fun for school children and also includes participation of teachers and parents. 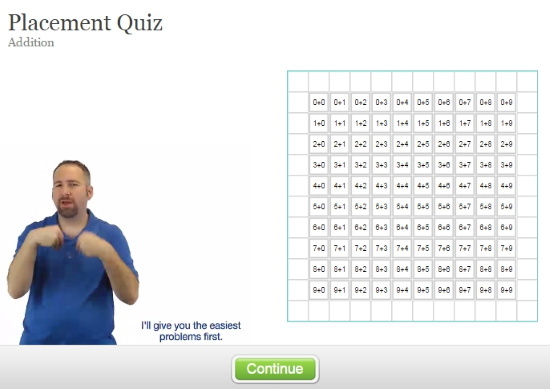 Students are tested with a series of arithmetic problems that they have to solve online. These problems include addition, subtraction, multiplication and division. 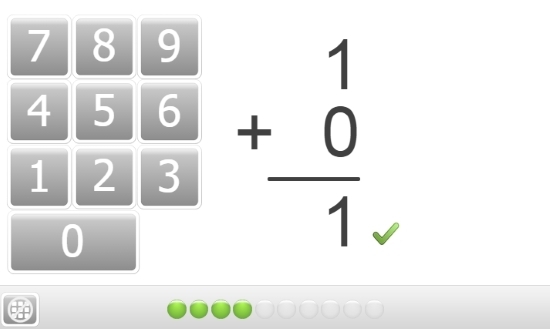 Students can use XtraMath in two ways, individually and in classroom mode. The students can use it individually when solving XtraMath at home. In classroom mode, the students take turns to solve math problems. XtraMath is not only a question bank, but it also acts as a class management service. The teachers can monitor the daily performance of a student. They can generate reports of a student and discuss it with the parents. Let’s watch XtraMath in action. If you want your kids to learn Geography in a fun way, check out awesome Geography games here. XtraMath requires teachers to make a class and add students to it first, before students begin the assignments. The student has to log into his/her account on either the Student tab or the Classroom tab. The student tab is where a student can solve math problems on his own at home. The classroom tab is where all the students of a particular class are listed and they solve math in turns. If a student is busy or absent, a classmate can mark the same on the students list. The problems are tracked in a problem matrix where each problem is shown in a cell. The problems marked gray have not been practiced and the yellow ones need a little practice. The Green cells contain problems that the student is really good at solving. 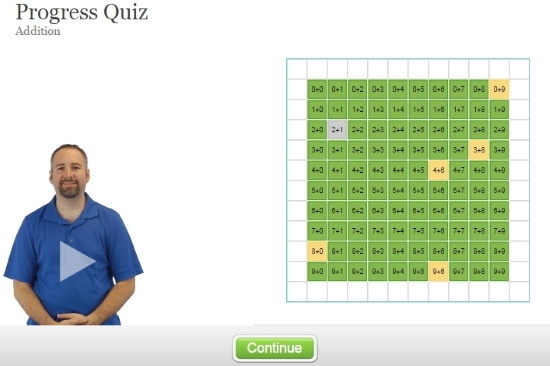 XtraMath problems are simple and direct arithmetic questions where the students need to type in the answer. They’ll be given a time limit in some cases where they have to ‘Race the Teacher’. This free online educational service helps you keep track of your Student’s performance. In the teacher’s account, you can add different classes from the ‘Add Class’ tab and further add students. Adding students will generate their PIN numbers, which they’ll use to log into their accounts to solve XtraMath problems. A parent’s account only shows the performance review of their children. Each class tab shows you a preview of the performance of students over the week. Students who have fared well on a particular day, will be shown with a green mark on that day. On the bottom left is the section where you can print the class report for your own use. Clicking on a student’s name will show you the performance of that student. The attendance of the student is marked on the calendar. The performance is marked with the problem matrix I told you about earlier. You can print the performance report of the particular student from the left. These reports can be sent to the parents. This free online educational service works exceptionally in helping teachers and parents work together to make the student better at Math. However, I did see some problems in XtraMath. The math problems were too easy for students in higher grades. Additionally, the questions were too repetitive. The organization of this free educational service was a bit jumbled up. I couldn’t understand why they made separate windows for student’s home practice. The same could be done using the classroom account of the student. Taking all of the above facts into account, I give this service 4 stars. Know a better alternative to XtraMath? Make sure you share it in the comments!